Breaking up was hard to do… Fletcher’s decision to leave the GOP was (IMHO) the best option available to him, short of dropping out of the race. The DeMaio campaign torpedoed any chances for Fletcher getting official party backing (and its unlimited financial resources) by utilizing the Assemblyman’s votes on social issues like Don’t Ask Don’t Tell to paint him as a RINO (Republican In Name Only). Dirty tricks in the GOP? I’m shocked! Round up all the usual suspects….As the County’s Republicans were preparing for a vote on a Mayoral endorsement, a mysterious Rev. John Awbrey sent a email to GOP leaders and posted a blog designed to raise suspicions about DeMiao’s sexual orientation. Nobody’s ever heard of Rev Awbrey, and the not-so-subtle attack on the City Councilman led to plenty of conspiracy theories as to who was behind it. Could it have been DA Bonnie Dumanis, who is also gay, but wasn’t mentioned in the email? Could it have been Fletcher, who must have known that DeMaio was on the cusp of winning the GOP endorsement? Or maybe it was organized labor, who’ve made no attempt to hide their loathing of DeMaio? Or was it DeMaio himself, given that he’s shown no hesitancy in throwing elbows in a political dogfight? The debate was raucous… Raucous is the word that KPBS used this morning in reporting on the Mayoral debate at the LGBT Center last night, and I have to agree. Candidates were cheered, booed and challenged throughout the evening, reflecting the commitment and involvement of the Gay community in local politics (I mean, really, compare Hillcrest to OB; I doubt that few in OB even knows who’s running for Mayor). All four candidates came with their game faces on, hoping to win support from this bloc of voters. Bonnie Dumanis probably won “best line of the evening” when she told the audience that it was harder for her to come out her parents as a Republican than it was that she was gay. DeMaio was roundly booed by the crowd for defending the actions of the GOP in attacking Fletcher for his support of social issues, and responded by saying, according to the SDUT, “I have never criticized any of my opponents for their positions on social issues … nor will I because I do not believe the role of the mayor is advance a social-issue agenda”. Both Fletcher and Democrat Bob Filner were well received by the audience. Traitors will be shot… The tone of the reactions from both political parties in response to Fletcher’s decision to run as an independent was remarkably similar. We saw the unusual phenomena of Democrat Bob Filner agreeing with GOP Party leader Tony Krvaric saying Fletcher couldn’t be trusted. Bonnie Dumanis released a statement saying her principles haven’t changed in 30 years as a prosecutor, judge and district attorney: “When you’re in a tough spot, you stick to your principles,” she said. “You stay true to who you are. You don’t panic, you don’t get desperate. … San Diego needs a mayor who is tough, calm and steady when things heat up.” And Carl DeMaio portrayed Flecher’s decision as yet another victory in the City Councilman’s campaign to defeat the “special interests” at City Hall. So there you have it (my 2.5 cents)… the Mayoral campaign in San Diego got a little more interesting yesterday. Fletcher has been polling third in a race where it’s likely the top two candidates will face a run-off come November. His move yesterday was a game changer, giving him lots of publicity in a race where his name recognition appeared to be a major stumbling block. He’s raised well over a million dollars and the only endorsement he lost be changing his registration to independent was that of the Log Cabin Republicans, who are required to endorse a candidate from within the party. The party hacks…The Republican and the Democratic parties continue to act oblivious to the fact that “none of the above” is the preferred political affiliation of an ever increasing segment of California voters. The perceived GOP platform runs against the self-interests of voter blocks (like Hispanics) that are growing rapidly; Republicanism as presently constituted has no viable future in California politics. The Democratic Party, whose statewide status appears to be brighter in the short run, may have been the big loser with Fletcher’s decision yesterday. If the primary fight comes down to Fletcher vs. Filner for the second position, assuming that DeMaio’s supporters are driven to the polls in June (in which case he’s virtually assured a spot on the ballot), Fletcher has nicer packaging (“a prettier face”), a likeable persona and big pile of cash that could go a long ways towards improving his standing in the polls. The ultimate decider will be, as it has been from the start, Bob Filner’s willingness to create a campaign based on more than “Hey, I’m the Democrat here”. Unions hijacked last night’s LGBT debate to attack Carl for his refom agenda. They were loud & disrespectful & came across like thugs. I’d have posted this earlier, but Hale & DeMaio have OBRag “blocked” from reading their twitter feeds. That’s odd, Labor Council was holding its E-Board election in Kearny Mesa during the same time as the forum. According to my Twitter feed, the forum was over first. Anybody who opposes Carl gets labeled as a “thug”, which is the same thing that Rush Limbaugh does. Just in case anybody has any doubt about Carl DeMaio being a “different” type of politician. So the folks who attended the forum at the LGBT center last night are now officially labelled as “thugs”. 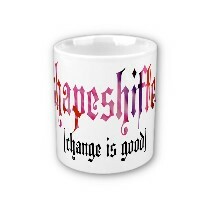 Maybe the other candidates collectively could spring for some tee shirts. My my! 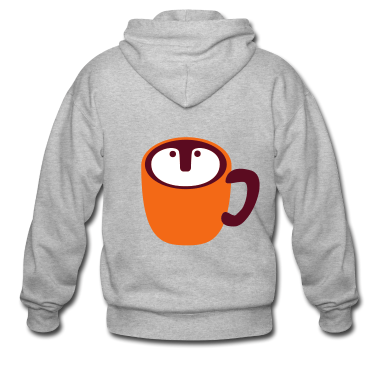 A hoodie with a coffee cup – very neat! And Doug’s First Cup – always priceless.